Fast and reliable The Woodlands heating system installation and repair service is yours when you call 281-704-3696 today. Enjoy expert solutions at great prices. Keep your heating system running smoothly whenever you need it - just call to make an appointment and we will take care of the rest. Click here to save big with valuable coupons and deals. A broken heating system is never what a homeowner wants to see, even if you live in a warm weather area like Texas. On those cold, rainy winter nights it’s comforting to have a functioning furnace to keep everyone in the house warm. When you have a trustworthy heating professional in The Woodlands, TX at your disposal, it makes dealing with issues a lot easier. Discover what your neighbors have to say about our heating services - click here! If you notice these or other signs of trouble, take action and have a professional service technician take a look before your system completely breaks down. After about 15 years, your heating system will likely be ready to call it quits and a replacement system will be necessary. 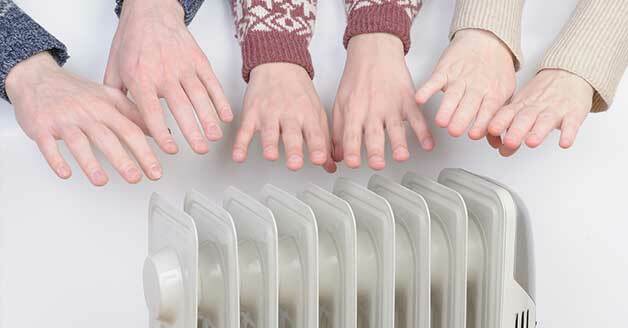 Even the best heaters stop working eventually, and subsequent repairs won’t make the situation any better when it gets to this point, especially when more energy efficient models are available. Even though the initial expense can seem daunting, once a new system is installed and running inside your home, you’ll enjoy another 15 years of high-quality heating. Experience, reputation, knowledge and troubleshooting ability are just a few of the qualities that a professional heating technician provides. Just as a mechanic is an expert on fixing automobiles, a skilled HVAC technician knows furnaces and heating systems. While some homeowners prefer the DIY approach and bristle at the thought of spending the money, in almost every instance you will end up saving money when you choose professional heating repair and installation services. Even though the need for more heat isn’t the first thing that comes to mind when you consider home services in The Woodlands, TX, it’s still important to have a functioning heating system. When you call Affordable American Air Conditioning & Heating at 281-704-3696 we will provide you with the installation or repair solutions you need.